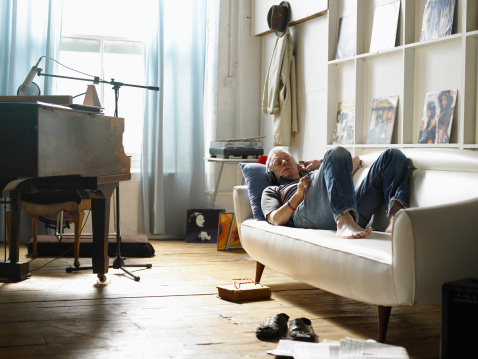 By its very definition, a living room should be cozy, inviting, and possess the ability to actually be "lived in." 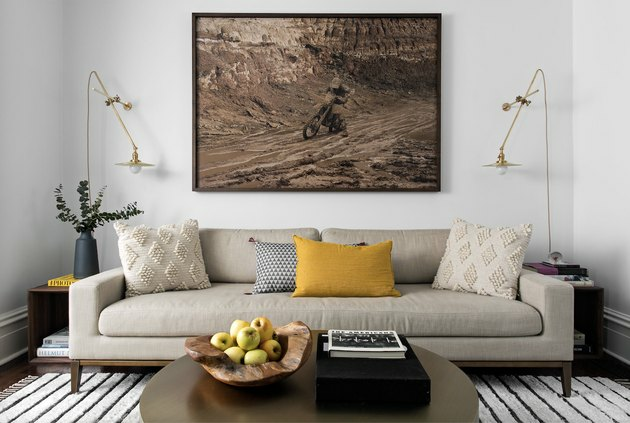 Too often, we come across spaces that are decorated like staged homes, not those that beckon for company — which is where these living room sofa ideas come in. Everything revolves around the couch, because it's the comfiest place in the house other than our bed, although it's actually acceptable to lounge there all day. (Shhh ... we won't tell if you break the rules!) But, it can be a challenge to balance practicality with your design aesthetic in your den. That's where the pros come in: We tapped six interior designers to dish on the living room sofa ideas that they use to make the most out of any space (plus, what to avoid). Keep scrolling to nab their style and make it your own. 1. Stick to a neutral palette. When in doubt about your living room sofa idea, keep things clean and sleek and you can't go wrong. L.A.-based interior designer Vanessa Alexander of Alexander Design insists that a stunning white couch can give the room an airy feel. "Then, you'll have endless options when it comes to how to style your sofa," she says. Pro tip: Incorporate a rug that's a similar color as your couch and then add extras for texture and warmth. Caroline Grant and Dolores Suarez, the New York-based design duo behind some of the city's most beloved restaurants (Bobo, Rosemary's) aren't ones to shy away from color. Such is the case in this living room sofa idea from one of their design firm Dekar Design's projects, featuring a loveseat upholstered in burgundy velvet. 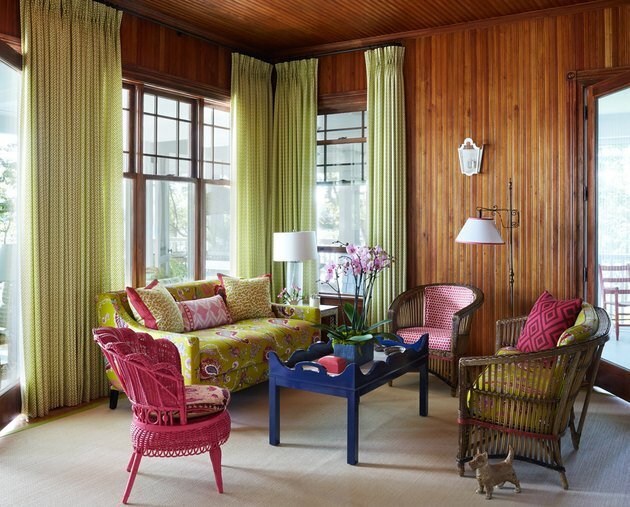 "The right fabric can add enormous character to an otherwise plain-colored sofa, making it the focal point of the room," Grant and Suarez tell Hunker. Although many of us have the inclination to push our furniture up against the wall, it's not always the savviest move. Interior designer Anne Hepfer instructs: "Float furniture away from the walls to create a better sense of balance in the space." To make a room appear larger, it's best when your open square footage isn't only focused in the middle of the room. By seating arrangements, we don't mean putting place cards at the dining room table. It's a fact that where you position seating in relation to each other is just as important as where you place it in relation to the wall. For this living room idea to work, Hepfer says to arrange sofas and chairs to face each other and remember to keep them close — you don't want anybody to have to lean forward or yell in order to have a conversation. "In large living rooms, this means dividing the space to create two seating areas," she explains. Homepolish designer Liz Lipkin wanted to keep things elevated yet still casual in a living room for a young family of four. "I piled on the pillows to create a cozy space that they all enjoy together," she says. Although most are shades of blue, she relied on a few pops of yellow to keep with the spirit that comes through in the rest of the home. To note: Varying the fabrics on the pillows (velvet, linen, and textured cross-weave) keeps the tonal palette from falling flat. "On a deep sofa like this, I prop pillows up along the back to show them off and to provide support when sitting," Lipkin shares. 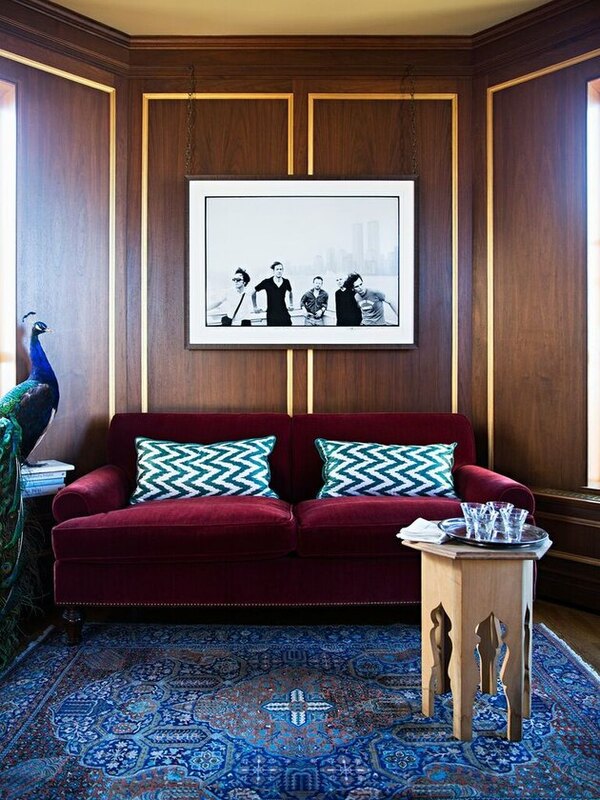 When it came to this elegant Brooklyn townhouse, Lipkin strategically placed design elements around the couch. "The symmetry of the side tables, pillows, and statement lighting highlight the sofa and create a sense of calm and order," she tells us. To make sure all eyes were on this key piece, she angled the sconces toward it and ensured the vertical stripes on the rug pointed directly to the sofa, drawing you in. A throw on your sofa is ideal for warmth and texture, but it all lies in how you style it. "Casually draping it over one arm is a great way to tell your guests they're free to actually use it," explains Christine Markatos Lowe of Christine Markatos Design. This positioning gives a much less stuffy feel to an otherwise formal space, and makes entertaining more enjoyable. Michelle Guerrere is a NYC-based lifestyle, fashion and beauty writer. She's currently trying to find the best set-up for her 300-sq. ft. Manhattan apartment.